GoodSync is an award-winning sync and backup software from Siber Systems, the makers of RoboForm. It's used for synchronizing files between two directories, either on one computer or between a computer and another storage device (e.g. another computer, a removable disc, a flash drive or a smartphone) or between a computer and a remote computer or server. 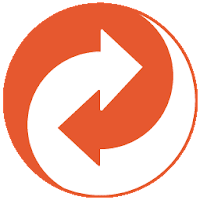 Disclaimer: Direct downloads for the lastest version of GoodSync 10.5.4.5 are provided by the official software's author, we can't guarantee safety, availability or download speed. Moreover, we don't and we won't provide any pirated/illegal versions or tools. We recommend you to avoid it as these methods can harm your device. If you like the software, buy it to support the developers. (We provide software discounts for many worldwide brands).